This applies to all engines that are capable of operating with a ford ignition system. Note: EDIS setups SHOULD have a cam sensor installed for proper engine operation for every startup. It is highly recommend to ONLY run EDIS ignition when performing fuel injection swaps utilizing an EEC-V. Although older EEC-IV's support EDIS with the additional of an EDIS module, the 96+ EEC-V's do not require an external EDIS Module. 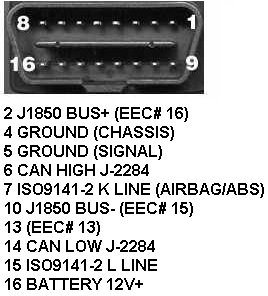 EEC-IV 1989-1995 Foxbody & SN94-95** Mustang Can be used for EDIS swaps as well but is not recommended, requires the use of an external EDIS module equipped on 91-94 EEC-IV 4.6L lincolns and crown vic / grand marquis. It goes without saying, cut the plugs and take them too so you can plug in to them. ECU w/ Wiring Harness, 2003-2004 Luxury Sedan engine harness is most ideal usually. Lower Intake Manifold Complete w/ Thermostat Housing, ACT (if applicable), etc... only needed if swapping from Carb setup. A carb to t/b adapter will suffice as well. Upper Plenum If using the carb to t/b elbow, you will have to fab in an ECT sensor into your lower manifold. Throttle Body w/ TPS and IAC valve; the iac valve can be remote mounted if need be using SHORT 5/8" hose. Throttle cable will have to be fabbed. MAF Sensor w/ housing, the sensor itself used in a different housing will crete a NEW meter. Fuel Rail w/ Fuel Pressure Regulator, recommended to utilize the fuel rail pressure sensor as stock equipped from donor. It will be necessary to run new fuel lines (feed & return) to the fuel tank in some applications. In these applications, I recommend mounting the fuel pressure regulator near the fuel tank so you only have to run one line from the regulator up to the rails. A VR Edis crank trigger will need to be fabricated to the timing cover as well as a 35 tooth (36-1) reluctor wheel mounted to the rear of the harmonic balancer. A cam sensor will need to be fabricated for sequential fire. for 302 based engine, use the cam sensor and cam sensor synchronizer stalk from the 99-01 explorer. on 351 based engines, the bottom half of the v6 stalk will need to be mated to the upper half of the v8 stalk. 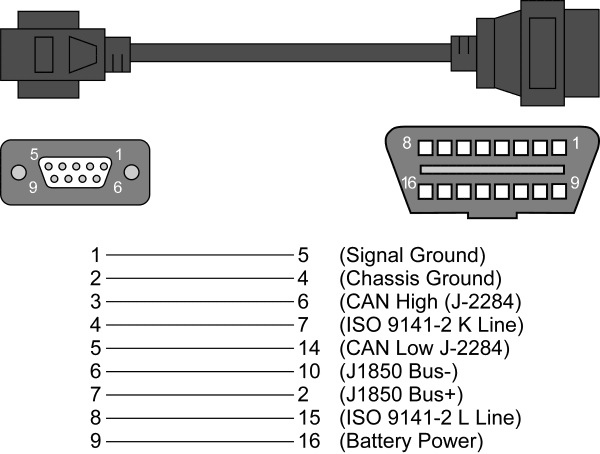 Although the OBD-II port isn't required, it is nice to have and is very simple to wire up. The following wiring diagram is also to be used for wiring bench flashing stations as well. Base tunes can be downloaded from the HOMEPAGE and include detailed step-by-step how-to's for initial fire up. Write-ups are also accessible from the homepage for details and specifics for dialing in your tune and fine tuning there after. However, if you find yourself here seeking knowledge you may very well factor in purchasing a custom tune REMOTE TUNING as its always quite involved. The 94+ ecu's can control AODE/4R70W transmission as well if you so choose to swap one of those transmission in as well. The 89-93 mustang ecu cannot control an ELECTRONICALLY COMPUTER CONTROLLED AUTOMATIC TRANSMISSION. Mechanical automatic transmissions such as an AOD is basically the same computer wise as a manual transmission as well as any other automatic transmission that does not get shifted by the ecu and requires no ecu control for operation. Keep in mind, the 94-95 mustang ecu requires a 1 ohm (EEC-IV) tcc solenoid and the 96+ (EEC-V) requires a 10ohm tcc solenoid. Reference the 4R70W SWAP INFORMATION for specifics. Also see the TRANS TUNING WRITE UP for more details on modifying the transmission parameters. Can my tune cause a no start? No (but maybe yes), the EEC-4 does not control the starter relay solenoid. Some 2003 - 2004 EEC-5s do have provisions for starter relay control used on select luxury sedans such as the 03/04 Marauder and the like. The hardware in the ecu is present only if the vehicle was equipped with it. Unless you've wired it up to your starter interrupt relay and have a pats code fault, the car should start up no problem. Can I use a 6 cylinder ECU to run my v8 ? No, the v6 ecu's only have 6 injector outputs, you can use an 8 cylinder ecu in a 6 cylinder or 4 cylinder application though, but you cannot use a 4cyl or 6cyl ecu in an 8cyl.